Former Sokoto state Governor Attahiru Bafarawa has come under serious pressures from wide ranging groups and individuals to throw his cap into the ring for the 2019 Presidential race, even as he embarks on consultations to gauge the mood of Nigerians on the likely political permutations. Senator Paul Wampana, a longtime associate if the Garkuwan Sokoto confirmed to National Trail in an interview in Abuja on Monday that, Attahiru Bafarawa has been entertaining visits from individuals and groups across the country, urging him to consider running for the Presidency, if Nigeria is to survive her current travails which have threatened the fabrics of her nationhood. According to the Adamawa born political tactician, Bafarawa has all it takes to rescue Nigeria given his profound understanding of the problems confronting the country, coupled with his international network, which could be used to reposition Nigeria. He told our correspondent that, in the last few weeks since the problems confronting the country became more intense, Attahiru Bafarawa has been inundated with calls for him to come to the rescue, because of his wide acceptability. Wampana offered to be in the forefront of selling Bafarawa’s candidature if he accepts to run, stressing that, it is no longer expedient for the likes if the former Sokoto state governor to continue being in the shadows. “We cannot allow such a leader with vast knowledge and understanding of issues to remain in the shadows, Attahiru Bafarawa must heed the voice if Nigerians calling from the north,south,east and west, by coming out to declare and run for the Presidency if Nigeria”. Wampana added that, Nigerians are in general despair and need somebody who can restore hopes to them, because the present leadership seems to have forfeited the confidence if the people, including those who were hitherto ardent supporters. 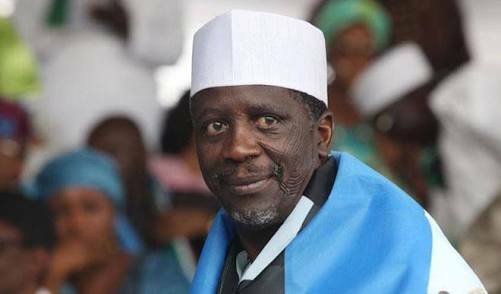 He said by his pedigree and demonstrated capability, Attahiru Bafarawa will connect the diverse ethno-religious and political interests in the country, which have been polarized by developments in the country in recent times. Although the firmer governor gas not come out to say anything yet, feelers indicate that he may succumb to the pressures being mounted on him to contest. It nat be recalled that several groups in Lagos, Kano, Kaduna, Port Harcourt, Bauchi, Enugu and Sokoto have held colloquium on the Bafarawa Presidency all of which gave him the mid to contest.